The purpose of a Hazmat suit: The person inside the suit…can operate in a POISONOUS invironment….and remain STANDING and UNTOUCHED! The purpose of God’s FULL armour: The person inside…can operate in a HOSTILE environment…and remain STANDING and UNTOUCHED! I hope that the description of the picture captured your attention instead of scaring you! It is a somewhat unusual picture, especially on a blog page supposed to motivate readers, right? Well there is a reason why I chose this picture! Please read on! As I was contemplating and praying about writing this blog, The Holy Spirit reminded me of the story of David and Goliath in 1 Samuel 17. There I found several verses which addressed armour! As I am preparing to speak on the topic of spiritual disciplines in a few weeks…. I found the story quite fitting and helpful! Then David, who learned to trust God, who acknowledged how he was able to kill and destroy lions and bears while keeping his father’s sheep (verses 34-37) …. ran towards Goliath. He had faith in God and knew as much as God helped him to kill lions and bears, he knew that one little stone would be enough to kill Goliath. Because God’s power was behind it! Clothed with the armour of God ...and specifically the sword of the Spirit which is the Word of God (Jesus!) he faced, conquered and remained standing and untouched by his enemy! Friend, I hope you know and realize that we live in a hostile environment. When we awake in the morning satan and his cohorts get ready with attacks on our lives. Their goal is to steal, kill and destroy our lives! The only way we are able to stand and conquer , is to not rely on our own power. 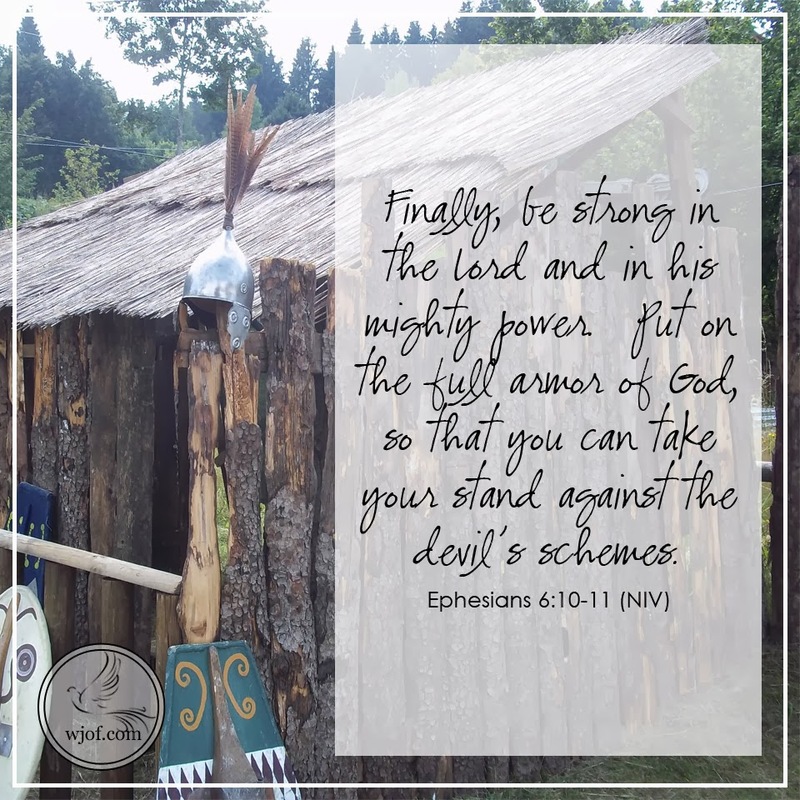 Neither should we trust our worldly armour (…..the kind King Saul tried to put on David! ), but we must get dressed for success, which means we must put God’s full armour on daily. 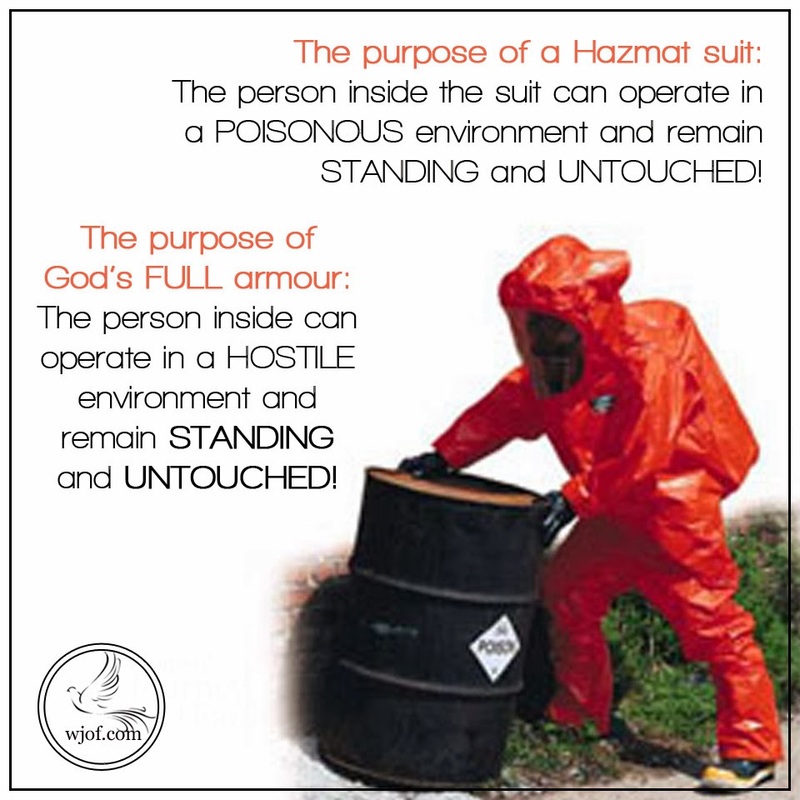 Therefore, as much as the hazmat suit protects the person inside, enabling him to operate and function in a dangerous and poisonous atmosphere, so much so will the full armour of God do when we put it on daily. We will be able to operate and function in a hostile world, we will be able to stand firm and resist the devil, and conquer any situation that comes our way. Be inspired as you make an intentional effort to get dressed for success, each and every day! Wilna was born and raised in South Africa but later moved to Canada where she is now enjoying her dual citizenship journey! 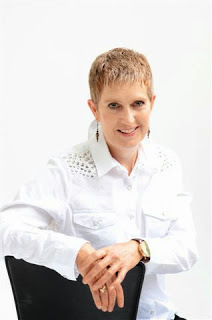 She is passionate to share her story as a former Lesbian and offers seminars on the topic of homosexuality, in order to help people understand, learn and show more love and compassion towards the LGBT (Lesbian, Gay, Bisexual, Transgender) community. Wilna also facilitates a support group for parents/family and friends of gay loved ones. Outside of her passion and call to speak and teach, she is also a business owner. Though the rest of her family is living in South Africa, she considers her two dogs, Daisy and Thursdae, a part of her family. To find out more about Wilna including her primary speaking topics, Visit her website: Wilna Van Beek. To find out more about WJOF and our upcoming seminar on April 4-5 2014, "Sharing the Journey" with bios of all our recommended speakers, click here: WJOF/STJ.